They’re at two different ends of the higher-education journey: some just starting their pursuit of associate degrees, the others finishing their advanced training after earning a doctorate in biomedical science. Through programs across the country, including a new one led by U-M, they can come together for science and engineering education. At the same time, the programs aim to increase diversity in the population seeking scientific careers, and help young scientists gain marketable new skills. Called Institutional Research and Academic Career Development Award (IRACDA) programs, the university/community college partnerships focus on postdoctoral fellows who have finished their scientific Ph.D. and are nearly ready to go out on the job market. 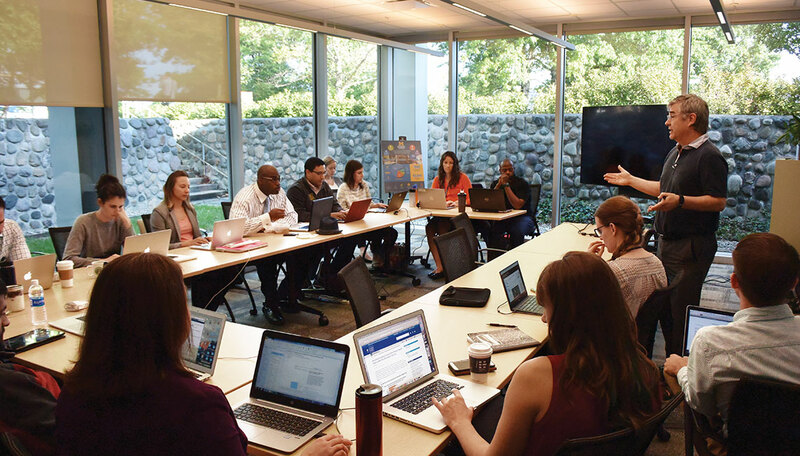 For the new program, Henry Ford College and the Wayne County Community College District allow U-M Medical School and College of Engineering postdoctoral fellows to co-teach in their classrooms, working alongside their faculty. “For any postdoctoral fellow, having extra training in teaching skills gives them a leg up as they go on the job market,” explains Bishr Omary, M.D., Ph.D., the H. Marvin Pollard Professor of Gastroenterology in the Department of Internal Medicine, chair of the Department of Molecular and Integrative Physiology and one of the leaders of the effort at U-M. Omary also is Michigan Medicine's new chief scientific officer and executive vice dean for research. The postdocs, who specialize in physiology and biomedical engineering, hone their teaching skills with the help of partner college faculty mentors over the course of four years. Meanwhile, the associate degree students receive team-based teaching from the U-M postdoc and the partner college’s faculty member in their engineering and science classes. The program aims in part to address a longstanding lack of diversity in scientific careers. Both of U-M’s partner colleges have a high percentage of students from backgrounds underrepresented in science. Some of the U-M postdoctoral fellows chosen for the program also will be from similar backgrounds; all those chosen will be committed to careers working with such students. The program builds on initial seed funding provided by U-M for a pilot program at the two local colleges. Through new federal funding of $3.64 million over five years from the National Institute of General Medical Sciences, U-M will be able to select three postdocs each year for a four-year stint.